The vast majority of the text on your site comes from your own content. However there’s a small amount that comes with the theme and that in very few instances you’d wish to change to something else. 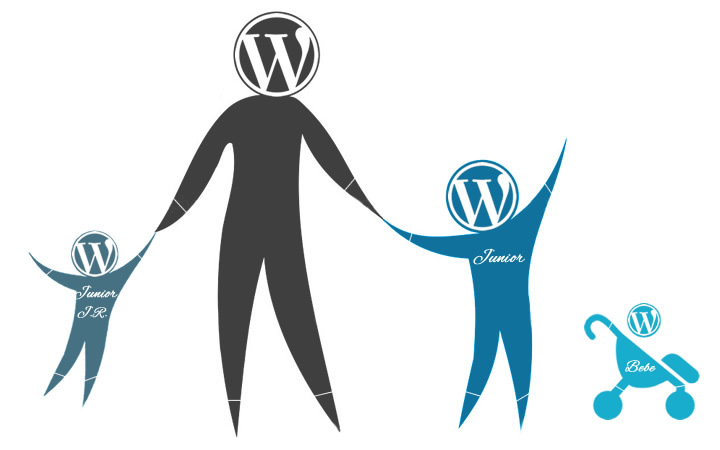 You never really got a solid grip on WordPress child themes? Well now’s your chance. We provide both a complete step-by-step tutorial as well as a one page go-to resource for quick starting a child theme in no time. The choice is yours. Tempera introduced a new way of defining presentation page columns contents. This new method allows for an infinite number of columns (and hopefully better support for translation plugins). Translating WordPress themes is actually very easy. With the help of some screenshots and some simple guidelines you’ll have your theme translated in no time. So without further ado let’s get on with it and explain a second way of translating themes (and plugins). This procedure does not require you to play with files or install programs. All you need is the Codestyling Localization plugin for Wordpress. Custom menus are advanced functionality for controlling the content of the menus built into Wordpress since version 3.0. They are meant to be used when the auto-generated menus no longer suit the desired content/functionality of the site or when custom links / custom structures are needed. Our themes (including Mantra and Parabola) feature a special page template titled “Category Page with Intro” which allows us to display a category of posts coupled with a custom intro to that category. This is a page template, so it will show up in the page templates list when creating/editing a page while using one of our themes. What is typed into the page content is what Wordpress will display as the intro on the category. This is a pretty straightforward how-to. We’ve seen this asked so much around the web and answered so poorly that we decided to try and make it a little clearer. As this is actually a WordPress option there’s no PHP code that you must insert, there are no CSS tricks you must do and there’s no plugin that you must install. Just a couple of clicks. 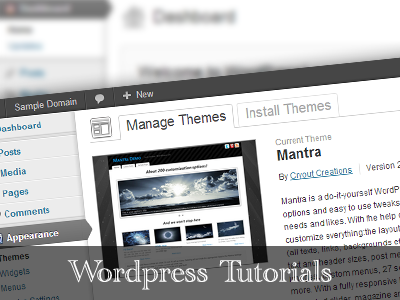 Installing a Wordpress theme can be easy or difficult, depending on the theme and it’s availability (or lack thereof) in the Wordpress themes directory. The automatic installation process comes very handy with published themes, but sometimes things fail or themes are not available, and one must resort to the old fashioned files upload via FTP. This tutorial describes all ways. Translating WordPress themes is actually very easy. Yes, no matter who you are, no matter what you do, no matter how much computer knowledge you poses, you can translate a WordPress theme. It’s real easy and now with the help of some screenshots and some simple guidelines you’ll have your theme translated in no time. So without further ado let’s get on with it. We’ve been getting tons of questions about disabling (or hiding or turning off, however you wanna call it) comments on pages or posts. And although replying to all of you in detail would be entertaining as hell, we thought it would be better to write a quick tutorial about it. Just remember, this is not theme related; turning off comments is a WordPress feature that’s just a bit hidden at first and not very well documented. It will work no matter what theme you’re using although I don’t see why anyone would use any other themes than our own.